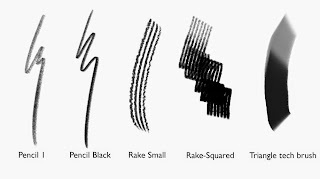 I have been using Kyle's Brushes for a while myself now and the only gripe I have with them is that there are so many of them. So what I did - in order to keep my Tool Preset-List under 8 foot long - was to make situational Tool Preset Packages. On loading they would just clean out the whole list and leave me with a good dozen settings for brushes and erasers. Oh yeah, I do keep a strategic set of my 5 favorite brushtips on the first 5 slots in the brush-popup-menu - the one you get, when you right-click with the brush active. That allows me to quickly shift the shape of a tool without changing all the other parameters. I like your approach of using smaller, but modal, pieces better, as it allows for a more flexible loadout of brushes. I'll try and figure out a way to get the importing done with one of those iconized script-panels that have been popping up. Those are really cool, especially when you work on a single monitor with little screen space. I'm looking at you, 12"-Cintiq. Yeah, there are a lot of Kyle brushes. I've been cleaning them out as I use the set more and figuring out which ones I never touch. After a while I might have it pared down enough to integrate into this newer system. Dream you Sam, this probably the best organized and smartest set of brushes i saw. Great job and thank you so much for sharing this. Certainly today I have adventured playing with them. Thanks alot for this brushes! that I am sure you have spent quite sometime organising them. Cheers. Thanks for sharing these, very useful! So, does that mean you no longer use painter? I've decided to revisit it since painter 2015 is actually pretty speedy on my machine and I still really love the real 2B pencil brush it has. I have yet to find anything that replaces it on photoshop. 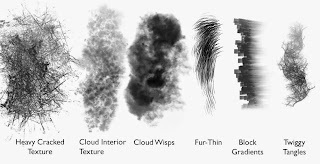 Kyle T. Webster's tilteriffic brush comes close, but it bothers me how I can't make the thinnest line it has just a LITTLE thicker, and I can't seem to be able to modify it's minimum thickness. I occasionally open Painter to do something, but I'm almost completely Photoshop now. I'll have to check out Painter 2015 though, since part of the reason for my switch to PS was the speed of strokes---Painter was okay with a tablet but too laggy for a Cintiq. I'll take a look into the pencil thing, I feel like it ought to be possible, but I don't know. Sam I;m using cs5 and looking for a good blender brush for your Schoolism class. I have cs5 though. does the blender brushes from this post work with cs5? i can't seem to get them to load in the tool presets or the brush presets. sorry for the necro thread! 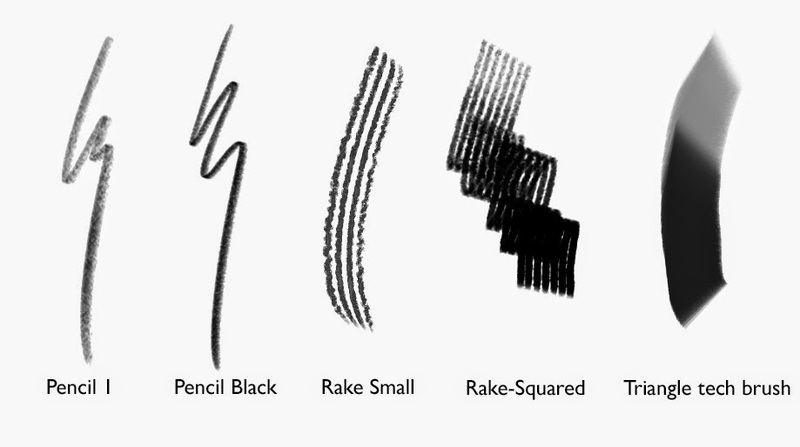 These brushes will only work in CS6+. Sorry! 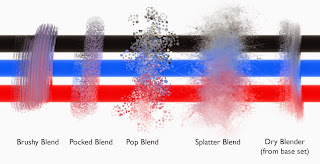 You can use the blenders from the CS4 set I released earlier (linked in this post), but those will be missing the mixer brush set. can u give me this brushes ?? They are in the link at the top of the post. 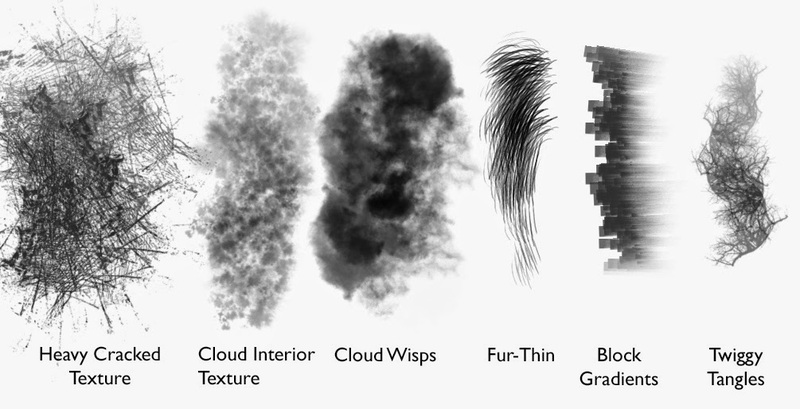 Occlusion brush, this is was crazy and useful as always. Great Sam!! 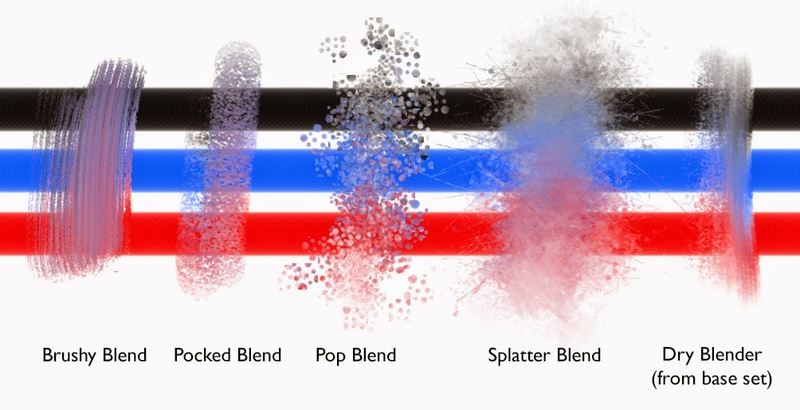 For some reason, I was unable to download the last two sets (spatter/texture + organic/effect). These brushes are a great set! I loved using your old CS4 set; they felt really natural to use. Thank you for sharing them! That's strange, there isn't anything wrong with the files or the links. Maybe try again.